Industrial Automation & Process Control Engineering Consultant Services with decades of experience with Systems Integration with strong Allen-Bradley + Siemens PLC & SCADA expertise, Microsoft .NET programming skills and a diversified background in Electrical and Mechanical Engineering, Instrumentation, Embedded Control and Software Engineering for industrial applications. Knowledgeable Engineering Management professionals. Allen-Bradley PLCs: PLC-5, ControlLogix, CompactLogix, SLC and Micrologix. Siemens PLCs: S7-200, S7-1200 and S7-300. 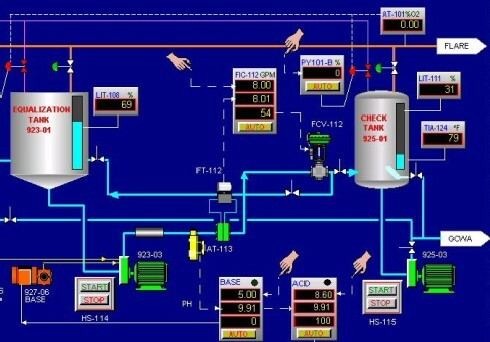 HMI & SCADA: Supervisory Control and Data Acquisition with Rockwell Automation RSView, Siemens WinCC HMI software and Visual Basic 6/. NET. 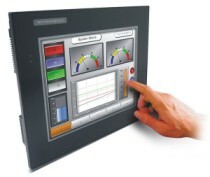 Operator Terminals, Panels and Industrial PCs: Allen-Bradley DTAM, Panelview, Panelview Plus, Versa View, Siemens operator panels and Windows CE PDAs. RTU (Remote Terminal Units) and Wireless Data Acquisition: Use of PLCs as RTUs with MDS radio-modems and VSAT satellite links. Allen-Bradley and Siemens Variable Frequency and Soft-Start Drives. Industrial Control Networks: Ethernet TCP/IP, MODBUS, DeviceNet, AS-I, Profibus, Internet, radio and satellite links. Microsoft Windows Software Development and Web Applications: Integrated solutions with PLC-based systems, from the factory floor to the corporate network.� Database applications, SQL-Server, MS Access, Crystal Reports, Visual Basic 6, VB.NET, VBA, ASP, ASP.NET.� Web-based SCADA & Report Modules. Electronic Documentation and Detail Engineering: AutoCAD, Spec Sheets, P&IDs and Loop Drawings. Design and Fabrication of PLC-based Control Panels and Smart Motor Control Centers. PLC/SCADA-based Industrial and Safety Gas Detection Systems/CEMS. Training:� Advanced seminars, group training and labs in PLC/SCADA and automation technology with Allen-Bradley and Siemens. Pilot, C-172 aircraft available to efficiently oversee jobs in the region, gets there and back in a brisk. Meet with the customer for project reviews. Represent the customer before vendors. Propose and specify control system architectures. Generate control system and instrumentation bill of materials. Directly oversee the production of electronic documentation, CAD work, P&ID, electrical, loop-drawings, control panel design, spec sheets. Personally produce special or complex loop drawings. PLC programming and documentation, executive, alarm and comprehensive self-diagnostics modules using ladder logic and function blocks. SCADA/HMI development, user-friendly graphic operator interfaces including alarms, warnings, diagnostics and history module (trends and data logging). Web Server, computer infrastructure and SCADA database setup. Publish real-time process and production data with Web applications using ASP/ASP.NET and Crystal Reports. Custom software development for industrial applications, mobile and fixed Windows CE HMI/embedded Pocket PC applications. Deployment of comprehensive remote control and support, including the creation of custom desktop and Pocket PC applications where required. Direct supervision and administration of electrical and instrumentation personnel during construction, loop-check and commissioning. Directly responsible for design, construction, commissioning, startup, end user training and support of PLC-based control systems. Use of private aircraft to efficiently oversee personnel at multiple job sites in the region not served by airlines.